Top Woman-Owned Companies in Colorado. Our rapidly growing company came in 87th, a significant accomplishment since Judy, acquired the business in 2016. What’s the secret to Design Studio’s success? Our talented, passionate, and dedicated women-led creative team whose focus is building strong and lasting client relationships. Judy’s structured approach to team support and growth has been a notable factor in our company’s success, including a full operations, logistics, and front office team to help support the designers. In addition to her efforts with Design Studio, Judy works with young women at the University of Denver’s Rising Women program where she helps guide young women looking to prepare for life in the workforce. 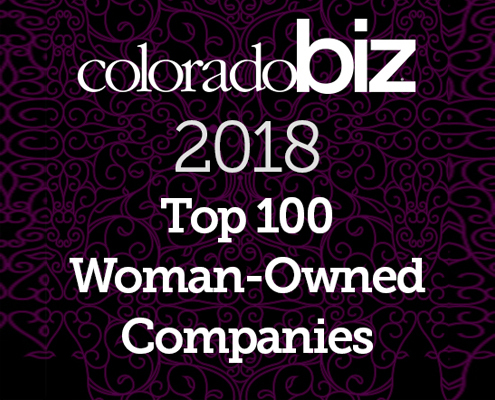 To see the full listings of ColoradoBIZ’s Top 100 Woman-Owned Companies, visit Colorado Business Mag here.